Khamael Al Safi is a PhD student at Cass Business School. She is studying the role played by contextual factors such as cultural backgrounds and home and work environments on the idea evolution cycle. Khamael completed her MSc in Organisations and Governance at the London School of Economics and her undergraduate studies in Human Resources and Psychology at Middlesex University Dubai. Before completing her MSc, Khamael worked in developing training programs for directors at McKinsey and Company. 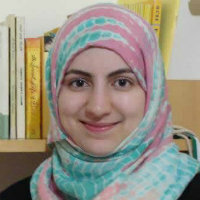 Prior to joining Cass, she taught Organisational Behaviour to undergraduate students at the Middlesex University Dubai and the University of Sharjah. Since 2013, Khamael has also been working for the Open Data Institute (Dubai node) in public sector advisory programs and research.